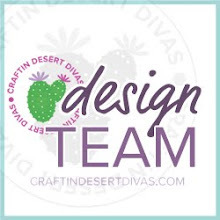 KaDoodle Bug Designs & Too Cute by Jessica Facebook Back To School Hop. 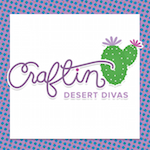 There are some adorable freebie files and prizes to be won!! 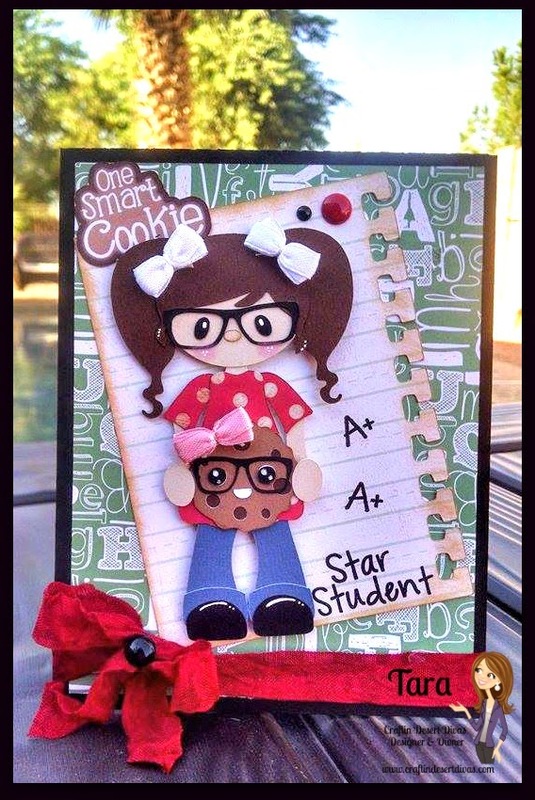 I've combined Smart Girl & Smart Cookies from Jessica's files to make this card. This adorable girl is a freebie right now from Too Cute by Jessica and I just love her with her pigtails and glasses. 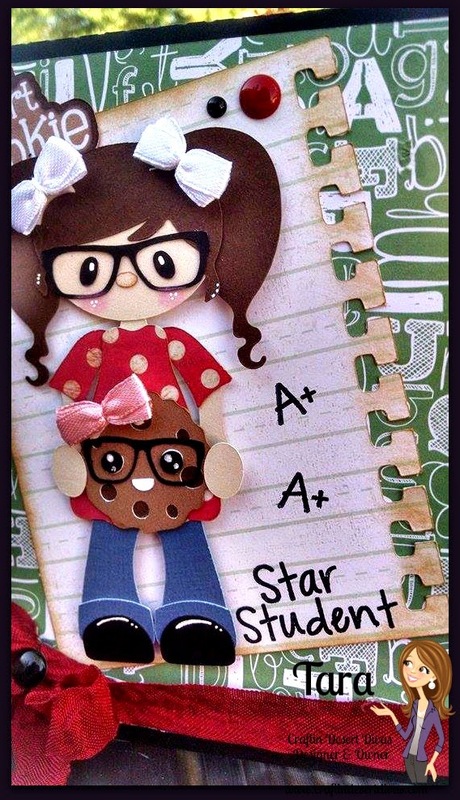 I think this would be a cute card to give to one of my daughters after they bring home a good report card or do a good job on a test. I added some of my sentiments from School Zone stamps to the paper behind the girl. The paper is a shape from the Silhouette store that was on another card but I decided it would be perfect for this school theme card. 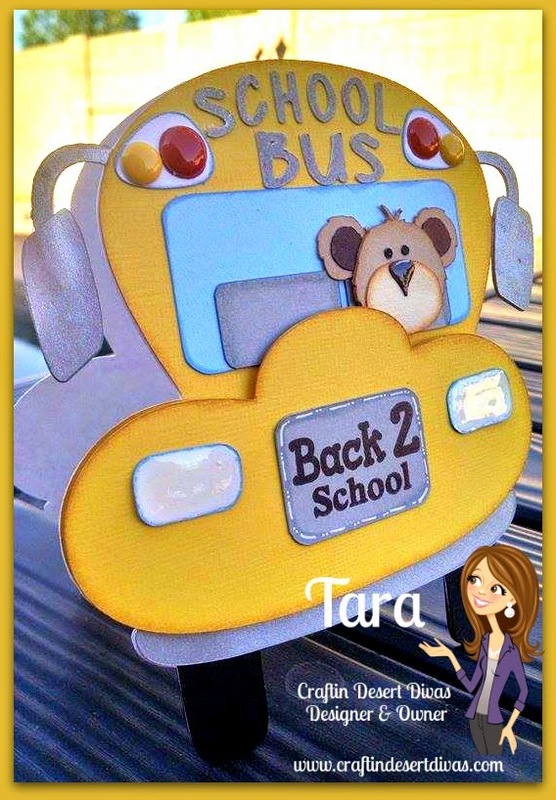 I've made a school bus shaped card from the KaDoodle Bug Designs School Bus Teddy pattern. How cute would this be to give to a bus driver? 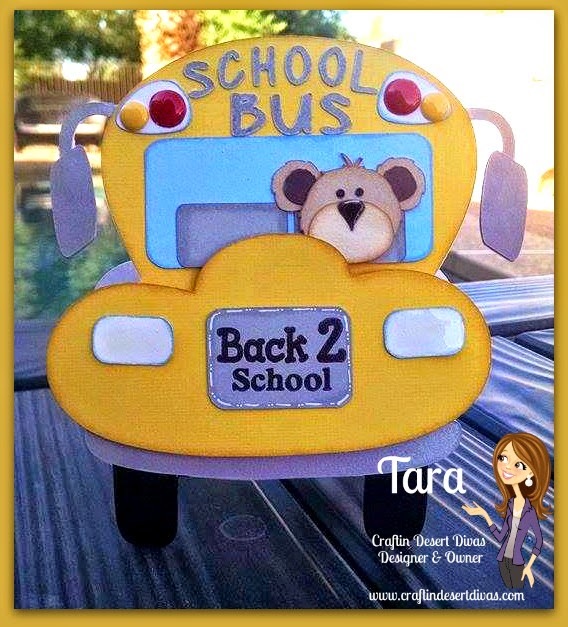 I've used my School Zone stamps to add the sentiment Back 2 School on the front of the bus. To give the headlights some shine I added glossy accents to them. Those sprinkles are perfect for the buses lights. Well I hope you have enjoyed my projects. Have a great weekend!!! Oh Tara your cards are so darn cute!! Love how you combined two files on your first card and love the notebook paper. The bus card is adorable. The glossy accents and sprinkles were the perfect touch!! These are spectacular! Love them!